this forum should be a great idea.....any ACBS guys have anything on wooden Red Fish boats?? Hi, ACBS does not maintain files on individual marques generally. We have inherited some Bob Speltz files but we believe these materials are best handled by museums. We do not have the proper resources to archive historical documents. Our good friends at The Antique Boat Museum in Clayton may be a place to start. I'll check with our Rudder editor to see if we have done any stories on wooden Red Fish boats. Thanks for the observation. Things are changing! Yes, there are still a few curmudgeons out there but our ACBS chapters really want your participation. Classic fiberglass boats draw a lot of attention at our show, in my opinion. Should be a useful, resourceful forum! Thanks to ACBS for the inclusion and promotion of FiberGlassics in their shows! Great idea Gentlemen, I think this forum will draw the wooden boat and vintage fiberglass and aluminum boat followers closer together and all will realize how much we have in common with each other. 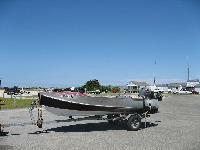 The Passion for vintage and antique watercraft . By the way, if anyone out there has an interesting boat or a boat with history, please let Chris or me know so we can see if there is a potential article in your future! 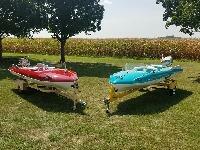 This is one way we can help you promote the classic fiberglass boats! Thank you...well stated! The goal of ACBS to bring us together for the betterment of the classic boating hobby. Towards the top is "view As" box. There you can look at it on a map or by month. Let me know what you think of the new website. Peter is right - check with the Antique Boat Museum in Clayton, NY. I found that they have information, including old brochures, on MFG boats, much to my delight.